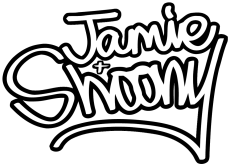 Jamie & Shoony are currently on tour, see upcoming shows for details! that are championed for their exuberant live shows. O2 ABC, Kings Tuts Wah Wah Hut, The Liquid Rooms, Saint Lukes and Stramash. The Sugar Hill Gang, 60's band The Animals and Nile Rodgers with CHIC. XpoNorth, Eden, Kelburn Garden Party, Blackthorn, Kendal Calling, Butefest, Belladrum Tartan Heart & Lindisfarne. Getting the crowd hooked at every opportunity is common practice as they turn every show into one big party. Go see them live and try not to dance!